Highsted Residential is planning a number of exciting business opportunities such as a café overlooking the reserve, childcare facilities and retail and office premises. 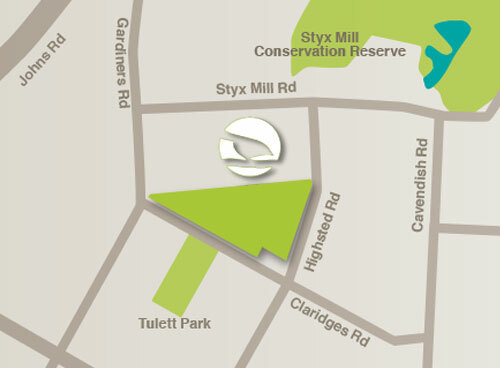 The commercial catchment of Highsted Residential is the perfect environment for upmarket businesses looking to capitalise on a growing and affluent part of Christchurch, in a location that is ideal for access to arterial routes and the airport. Restricted to a maximum of just 2,000 square metres of commercial development overlooking Tullet Park to the west and reserve greenspace to the north, you can be guaranteed that this commercial location will be just as exclusive as the limited number of residential sections we have available. We are now inviting successful existing businesses and enthusiastic owner/operators to help us achieve a fantastic, vibrant and desirable local amenity that the wider community will want to visit regularly. The architectural design and final tenancy configuration is currently being undertaken so this is your opportunity to have an involvement in the local commercial location to beat all locations! For tenancy lease rental rates, further details and to register your interest in locating your business in this attractive commercial area complete the Register your Interest form (on the left) or jump on the phone and call us on 3555-111.